Wahtum Lake, Rainy Lake, Indian Springs camp sites opened, Forest Service reports. Federal foresters have opened to the public a larger slice of the ground that had been placed off limits by the Eagle Creek Fire. The closed area has dropped from 54,892 acres to 40,354 acres — all of which is inside the Mark O. Hatfield Wilderness. "As this fire has shown, fire knows no boundaries," said Hood River District Ranger Janeen Tervo in a news release. "We will continue to work together on fire recovery, area closure security and safety issues into the future." 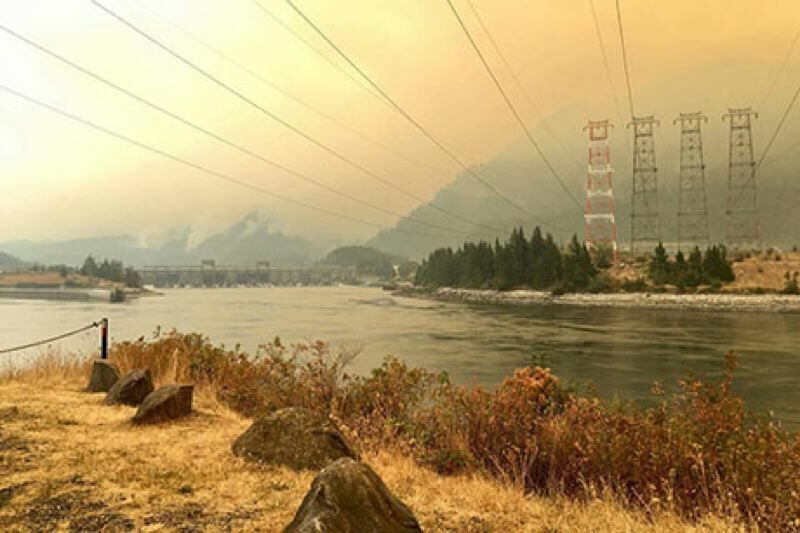 While the Eagle Creek Fire is essentially extinguished, officials say many of the dangerous after-effects still linger, including sudden landslides and the risk of toppling trees. Thrill-seekers who enter closed areas not only put themselves at risk, but also endanger the first responders who must rescue stranded hikers. Forest Service Road 1310 is back open to hikers but closed to all motorized vehicles after the intersection with Forest Service Road 1311. Road 1310 creates a brisk five-mile hike to Wahtum Lake Campground. Rainy Lake Campground is open and Indian Springs Dispersed Campground is accessible by foot. Officials note that while the campsites are open, the lakes are not. The Lake Loop Trail is closed as well. "The closure area has been reduced to provide the greatest degree of public access to the Mt. Hood National Forest while prioritizing safety for the public and U.S. Forest Service employees," a press release notes. "Additional closure area adjustments will be made in the future when safety issues have been mitigated."